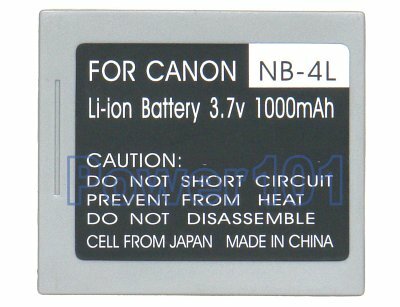 New Canon PowerShot "SD" cameras use NB-3L NB-4L or NB-5L batteries. 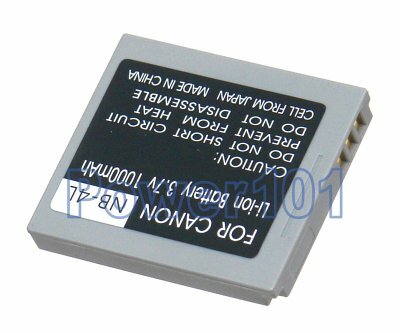 NB-4L fits Canon PowerShot SD30 SD40 SD200 SD300 SD400 SD430 SD450 SD600 SD630 SD750 SD1000, PowerShot TX1, Digital Ixus 30 40 50 55 60 65 70 75 and few other cameras. Please check your camera with our battery finder. Any standard NB-4L charger will work with this battery. Such as the charger that came with your camera.